It is now more than a half a year later and it seems that all of the bugs have been removed from the Android 2.3 update which will roll out to LG Optimus S users starting on Wednesday via a staggered OTA process. 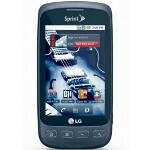 It will take up to 21 days to complete sending out Gingerbread to every Sprint LG Optimus S user. So if you don't get the update Wednesday, don't panic because it is coming. The update will fix the bugs listed above and will also repair a problem with the volume on voice calls, update the color scheme (darker notification bar, black-based menus), add a new virtual keyboard (supports multi-touch input and a smart auto-correction function), improve cut-paste function, add a new integrated application for easier access to downloaded files, update the camera application and add applications for power management and a task killer. Of course, the update installs Android 2.3 on the phone. The new software version is LS670ZVJ. They took too long. I just bought a used Epic from a coworker and not looking back. The Optimus was a good phone initially but apparently with the latest update in conjunction with updates to the apps I normally use like Facebook, its been too much for it to handle. Facebook constantly force closed, the only downloaded app that still works good on it is Twitter. The Epic has worked out great for me so far, so not looking back.